Wild Wing Plantation has been a favorite Myrtle Beach golf course for locals and tourists alike for over two decades. The Avocet is an 18-hole layout that was designed by Larry Nelson and Jeff Brauer while the recently renovated Hummingbird 9-hole layout is becoming very popular among all golfers. Wild Wing has a beautiful practice facility for you to warm-up on as you prepare to take on this Myrtle Beach championship course. The course has severely elevated tees and greens, wide fairways, plentiful water hazards and both sand and grass bunkers. The course offers five sets of tees that enable all skill levels to enjoy their round. The Avocet yardages measure 7,127 from the black tees, 6,658 from the blues, 6,226 from the whites, 5,870 from the yellow and 5,230 from the red tees. Strategy and accuracy with your drives will set up great scoring opportunities on your approach shots. 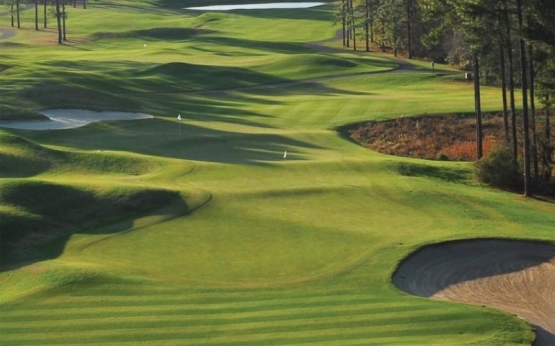 When planning a Myrtle Beach golf vacation consider a Myrtle Beach Golf Authority golf package. They can handle everything from your Myrtle Beach tee times to Myrtle Beach hotels and North Myrtle Beach condos and oceanfront beach houses. Myrtle Beach attractions are in abundance as well as Myrtle Beach entertainment to ensure that you have a great time while not on the links. Book you Myrtle Beach golf package today!